Photo: Nicholas Forbes was captured on security video swinging punches and using a bar stool to attack people. A Queensland man who is part of the Mongols bikie gang hierarchy has been sentenced to two-and half-years' jail over a brawl in an Adelaide nightclub. Nicholas Forbes was captured on security footage swinging punches against members of the Hells Angels bikie gang inside the City Nightclub on Hindley Street in May 2011. Forbes was part of the Finks gang at the time and was filmed pulling someone to the floor and hitting another person with a bar stool. He was originally found not guilty of aggravated affray in the South Australian Magistrates Court in 2015 but was found guilty of the charge at a retrial earlier this year. The court heard the brawl was in retaliation from an earlier fight involving members of both gangs outside The Firm club on North Terrace. It heard Forbes was not aware of the extent of the hatred between the Finks and the Hells Angels in South Australia because "no such hate existed between those two groups in Queensland". But during sentencing, Magistrate Ian White said the Finks must have been told that there were Hells Angels members in the City Nightclub. "I found that you looked as determined as any other member of that group to get into that nightclub," he said. "The purpose of your entry as a group was to be violent, and uphold a fundamental rule of the culture you chose to live in." Magistrate White said Forbes' involvement in the brawl was consistent with the view of police. 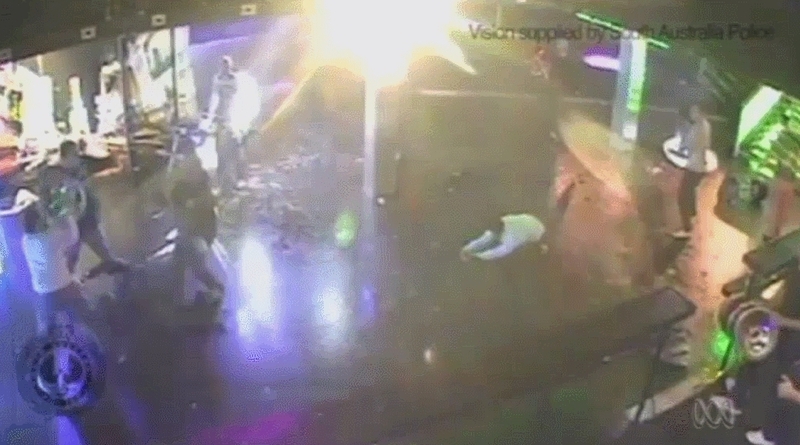 GIF: Bikies fight at The City Nightclub in Adelaide during May, 2011. 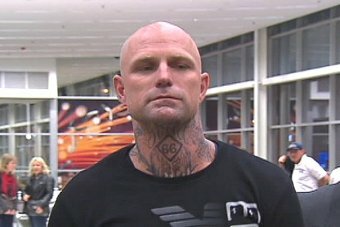 Police told the court all members of the bikie gang who were present had a club responsibility to engage in violence and support members in order to prevent embarrassment to the club and maintain its reputation. Magistrate White said he could not accept that there was any element of self-defence. "It was quick, it was violent and disgusting to watch. It's a miracle no one was seriously injured or killed," he said. "The staff and innocent patrons were terrified. Some of them can be seen fleeing out the only exit." "I find you and the others did this crime exactly as expected in the club culture." The court heard Forbes suffered from a number of life-long injuries and impairments and that prospect of rehabilitation was "not good". Magistrate White imposed a non-parole period of 20 months. "There are aspects of you that could be a way to lead you to be rehabilitation … but standing in that way is your loyalty [to the Mongols], as you clearly expressed," he said.